How was the Sauvé experience for you? Eye-opening, life-changing. I came to the Sauvé Public Leadership Program at a critical juncture: I was reflecting on my professional development going forward and it was a time when Canada was also reflecting on its relations with Africa. In the spring of 2005, I had been studying the political economy of development in East Asia at the University of International Business and Economics, in Beijing. I was deeply moved by the agency of people to improve their lives in tangible ways, while in China, Vietnam, Thailand, Hong Kong, and Macau. On the outskirts of Hanoi — a city that was quickly transforming at the time amidst rice paddies and scooters — I encountered a community which, instead of waiting for government action, was joining efforts: Each household was constructing a part of the road which was in front of them, leading to a complete one. 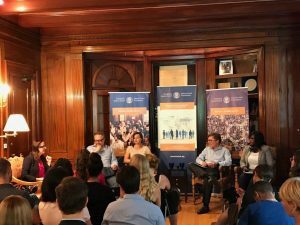 As a Sauvé Fellow, I wanted to further explore these issues of building a network of ideas, best practices, and lessons learned. When I arrived in Montreal in the fall of 2006, Canada’s Standing Senate Committee on Foreign Affairs and International Trade had just released a report entitled, “Overcoming 40 Years of Failure: A New Road Map for Sub-Saharan Africa”. It highlighted the reality of Canadian foreign policy towards Africa, detailing the characteristics and implications of its policies over time, but also insisting on the formation of a coherent and comprehensive Canadian foreign policy that combines both social-welfare and economic development initiatives. The supposed ultimate goal for Canadian policy-makers was to create a foreign policy framework that rewarded “good performing” sub-Saharan African countries that practiced good governance and that fostered positive conditions for private-sector development. This was as an opportunity to further deepen my understanding of some of the issues that were in line with what I was pondering at that time: Why is the global order the way it is – with the haves and have-nots? What is my role and place in it? What skills and tools do I need to this end? With the guidance of my academic advisors at McGill University (Canada’s former Prime Minister, the Honourable Joe Clark, and Professors Phil Oxhorn and Khalid Medhani), I was able to deepen my analysis of Canada-Africa relations through a foreign policy, political economy, but also through a pragmatic lens. How has the Sauvé experience impacted your life? Following my participation in the program, I left as a more aware and grounded young African woman, with additional global acumen. 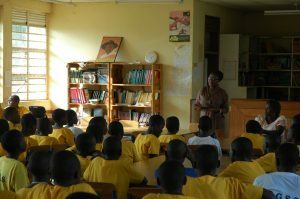 Many doors were opened to me by the Jeanne Sauvé Foundation staff, and the lessons I learned from encounters and experiences continue to shape my perspectives. I was very inspired by the people who I met and the work they were doing. Not only by the other Fellows, who continuously challenged and enriched me throughout the program, but also a number of experts from around Montreal, and across Canada. My Sauvé Mentor, Sonny Gordon, was especially instrumental: he encouraged me to embrace high level-strategic thinking and the importance of understanding markets and finance as part of thinking about development. He introduced me to Rick Renaud, from whom I learned the importance of knowing the response to the question: “tell me about yourself” and who introduced me and led me to female leaders: Deb Hinton, Mackie Vadacchino, Fiona Macfarlane, Paola Perez-Aleman, Shauna Sylvester, Rosalind Boyd, and Hillary Pearson, from whom I learned and reflected, on authentic leadership. I will never forget meeting and discussing with Canada’s Governor General at that time, the Honourable Michaëlle Jean at Rideau Hall: she had come to Canada as a refugee from Haiti and was now a Stateswoman in a highly diverse country. I was inspired by the work of the Canada Investment Fund for Africa, Free the Children and the 2006 Montreal Millennium Promise conference, where I volunteered. I learned about Canada’s political system in Ottawa, and its interaction with its economy and social fabric in Vancouver through consultations with: The Public Interest Research Group at Simon Fraser University; Global Entrepreneurship Monitoring and the Liu Institute for Global Issues at the University of British Columbia; Tides Canada Foundation/Sage Centre, Canada’s World Fellows, Lester B. Pearson College of the Pacific, Vancouver 2010, and the Frasier Institute. I was encouraged to start learning French, and I retain mentors and friendships from over 10 years ago. Tell us a bit about your journey after your Sauvé experience until today. What have you been up to? Following the Sauvé program, I went on to attend graduate school at the Harvard Kennedy School of Government, from where I was also selected as an Archbishop Desmond Tutu Fellow through the African Leadership Institute and the University of Oxford. As part of the Tutu Fellowship, I initiated a programme, through UgWO (the Uganda Women’s Organization) to develop the capabilities and assets of marginalized young women, through training. 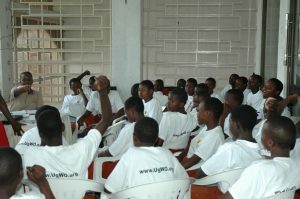 I continue to mentor young women, and men globally. My professional experience has spanned North America, Europe and Africa offering strategic policy and programme analysis and development. I have now been serving in the United Nations system and while at UNHQ in New York, I researched and covered a diversity of contemporary economic and social issues, contributing to high-level global policy development and providing intergovernmental support through UNDP and UNDESA. I now serve with the United Nations Economic Commission for Africa (UN ECA) in Addis Ababa Ethiopia, where I have been focusing on Economic Governance and Public Sector Management. My work includes the generation of knowledge on challenges, prospects and opportunities for African countries, in a global context. I undertake country-level consultations, disseminate recommendations from our work, and advocate for traction of recommended policy options and choices by decisions makers. This really is only a nutshell of my work. I am currently involved in a project on natural resources governance, development planning, and domestic resources mobilization. You probably know about the sustainable development goals, which were adopted by Member States of the United Nations in 2015 — the now Agenda 2030. The Africa region also has its specific Agenda 2063, to be implemented through 10-year action plans. Then, the Addis Ababa Action Agenda outlines the means of implementation of this development Agenda. However, Africa faces financing deficits, shortages, and gaps, in order to achieve its development goals. Thus, the puzzle for us is to figure out the various issues around the mobilization of resources to make development happen. We explore for example, how the continent’s rich and diverse natural resources endowments can be best leveraged to translate into development outcomes. Tell us about your new publication? 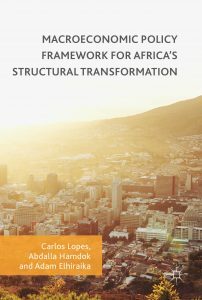 Together with colleagues at the UNECA, we have recently published a book entitled: “Macroeconomic Policy Framework for Africa’s Structural Transformation”. It was edited by Dr. Carlos Lopes, the former Executive Secretary and Under Secretary General of the UNECA; Dr. Abdalla Hamdok the current Chief Economist; and Dr. Adam Elhiraika, the Director of the Macroeconomic Policy Division. I contributed to “public financial management, macroeconomic stability and economic governance institutions.” My analysis is that as a core element of economic governance, public financial management contributes to macroeconomic stability. This is through their functions, including the maintenance of fiscal discipline and the efficient and effective allocation of public resources, for service delivery. To continue to learn, to contribute, and to impact.